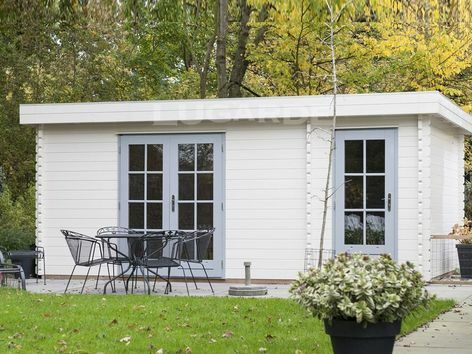 The Lindesberg is a versatile log cabin with two rooms each with a double glazed door in the front. It has a flat roof and is under 2.5m tall. It is available in 44mm log thickness, or 68mm optional. 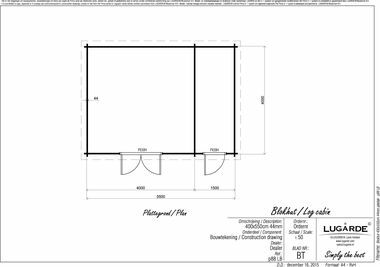 Size approximately 5.5m wide x 4m in 44mm log thickness. The standard package includes 1 double door PE50H and 1 single door PX39H fitted with 24mm double glazing.